The National Academy of Recording Arts has announced the nominees for the 61st Grammy Awards, recognizing music released between Oct. 1, 2017 and Sept. 30, 2018. As with last year, hip-hop artists gathered the most nominations. 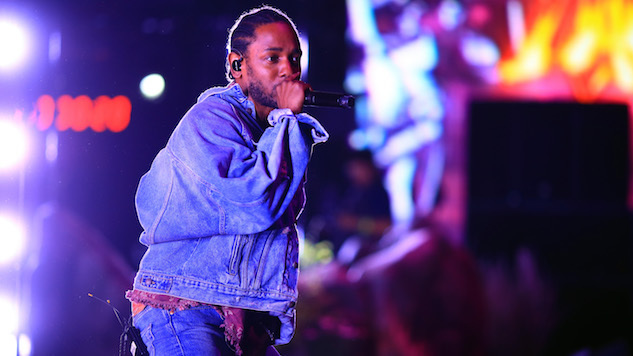 Kendrick Lamar (Black Panther: The Album) and Drake (Scorpion) led the way, with the former receiving eight nominations and the latter following with seven. With both nominated for record of the year, album of the year and song of the year, it’s going to be interesting to see which album (if either) reigns supreme. Following with six nominations is Brandi Carlile, the most-nominated woman in next year’s awards, with Cardi B, Childish Gambino, Lady Gaga, H.E.R and Maren Morris following with five each. A few nominations—or lack thereof—stood out from the fray. Giving a nod to Mac Miller, whose death in September shook the hip-hop community, Swimming is nominated for rap album of the year. On the opposite end, in a sure-to-be-contentious choice, Cardi B was noticeably absent from the best new artist category after being deemed ineligible by the Academy. The ceremony will be held on Feb. 10, 2019. Check out a few of the more notable nominations below and find the full list here.